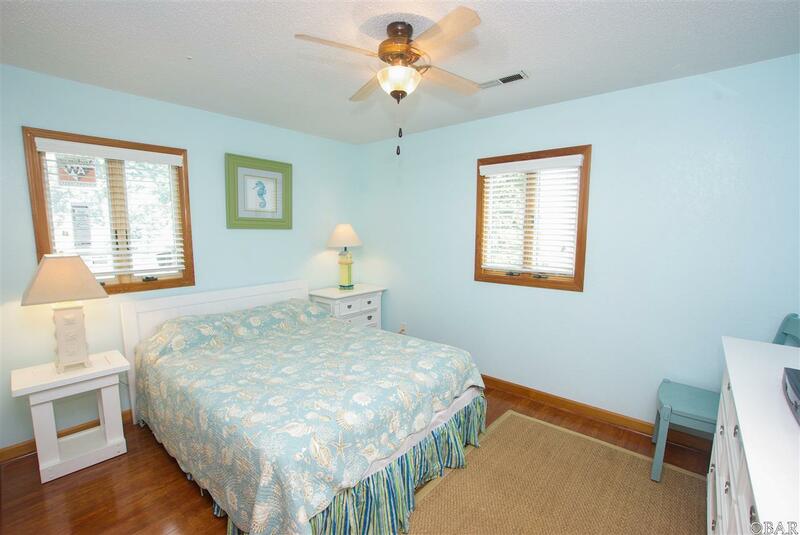 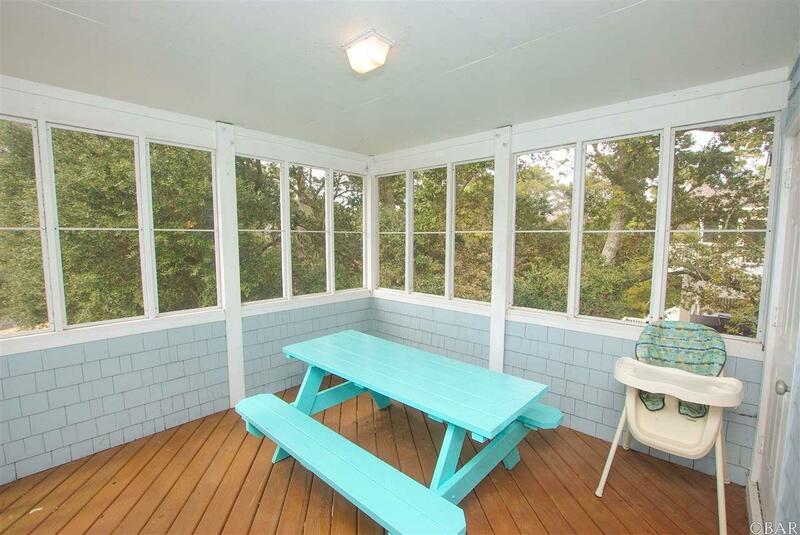 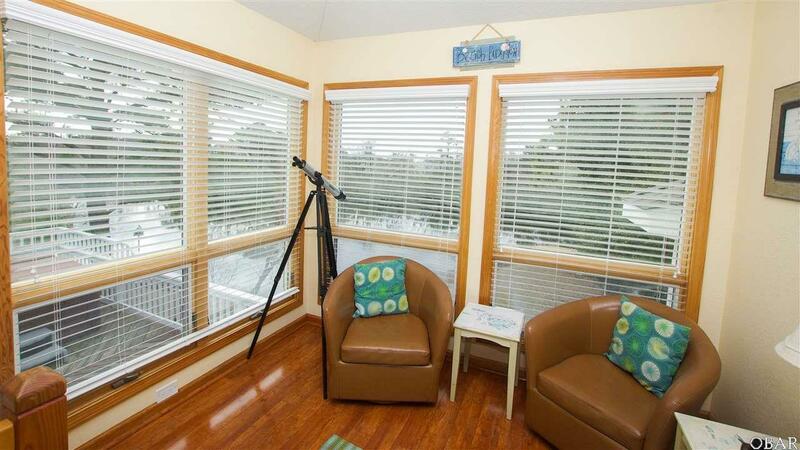 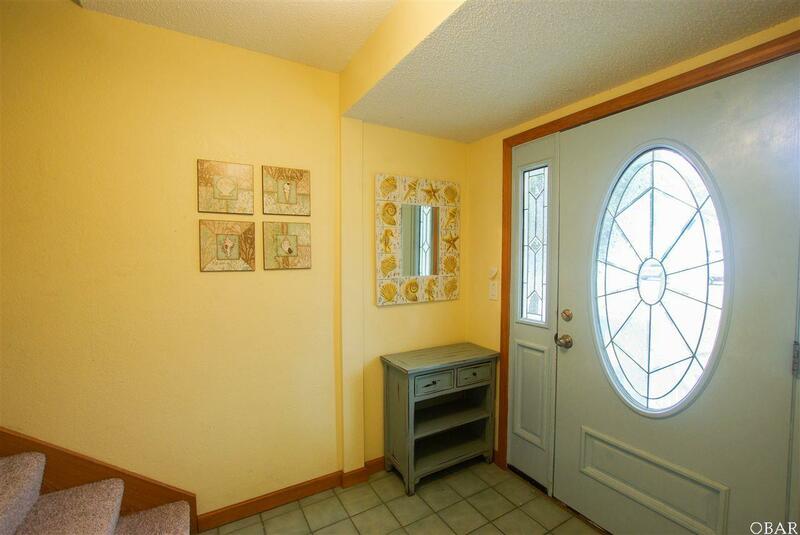 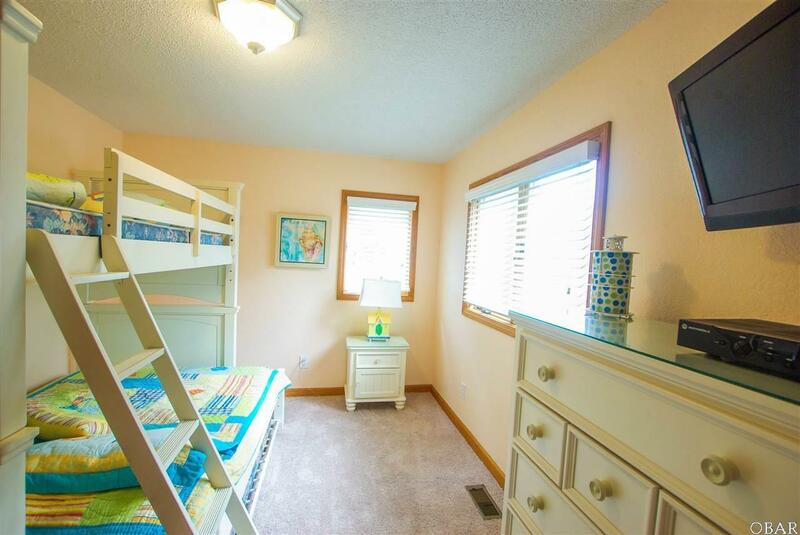 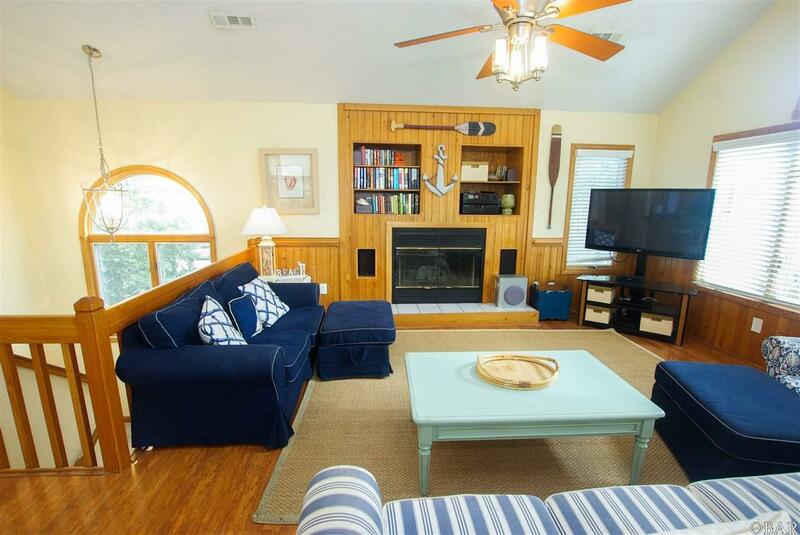 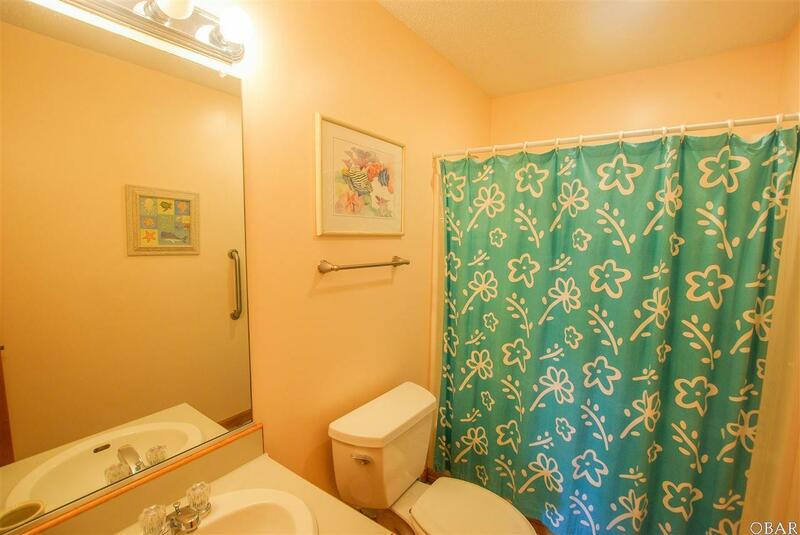 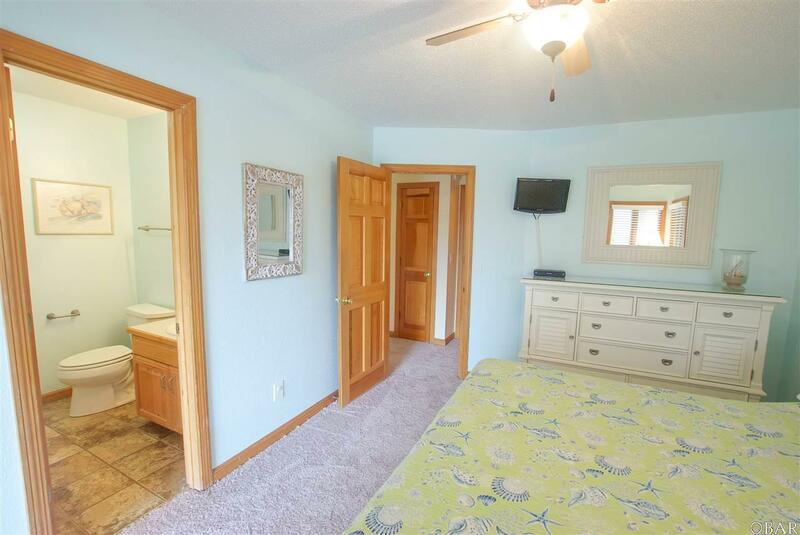 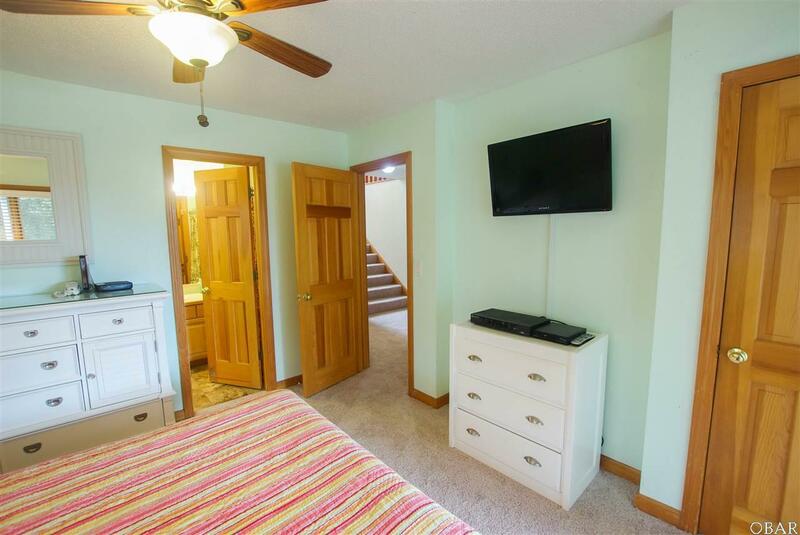 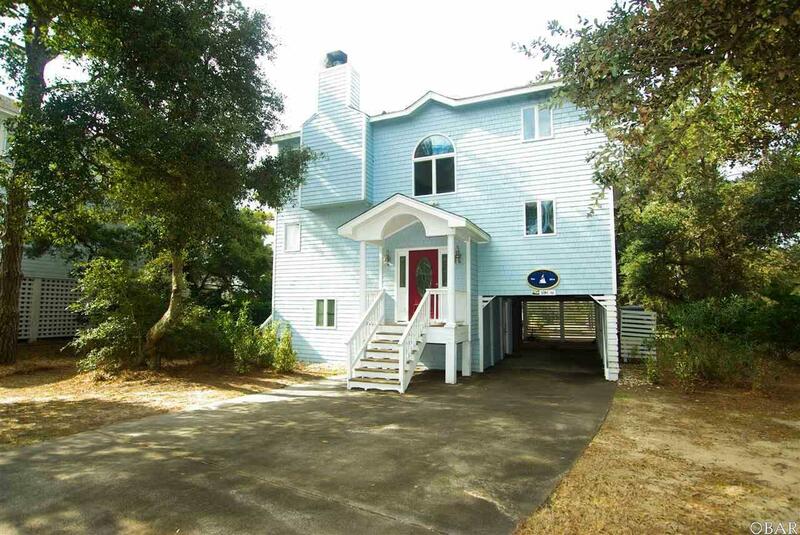 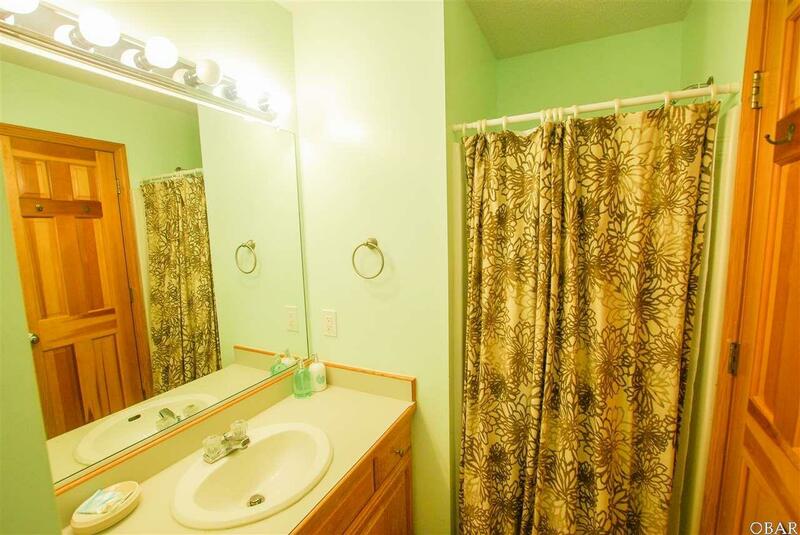 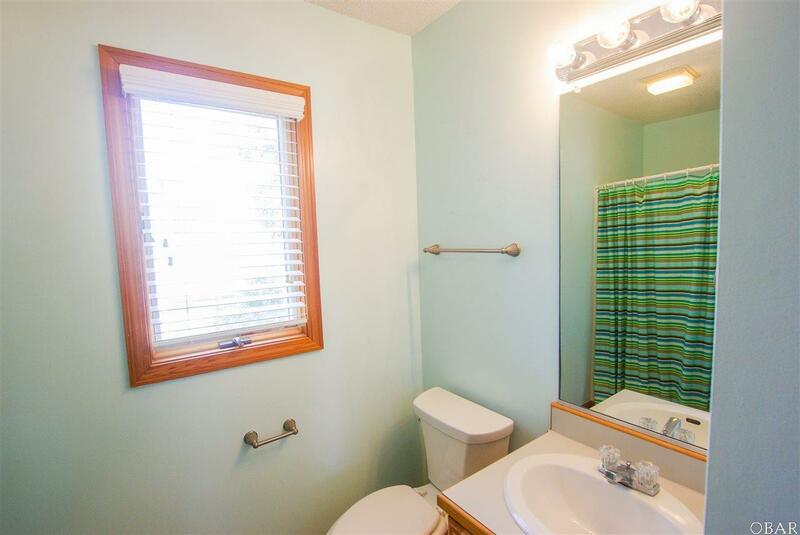 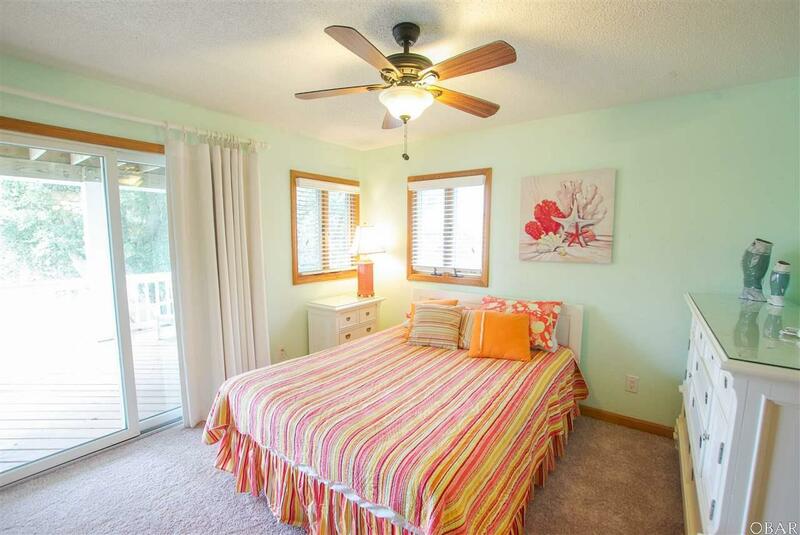 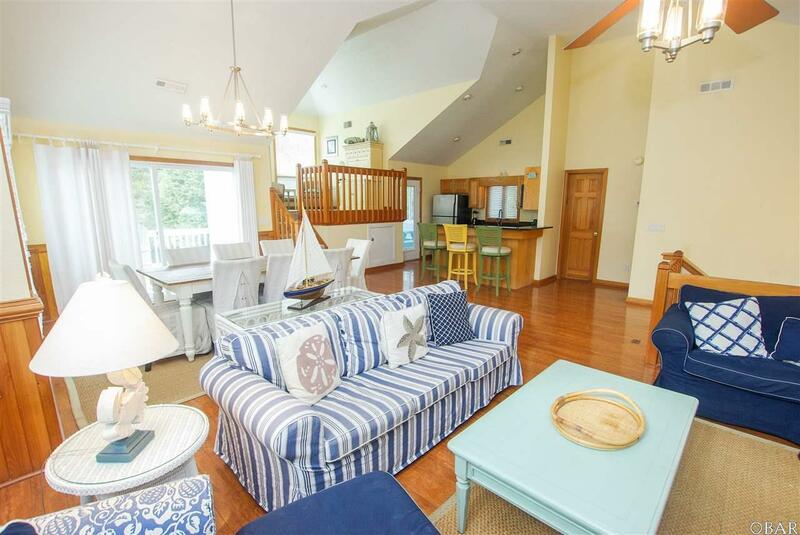 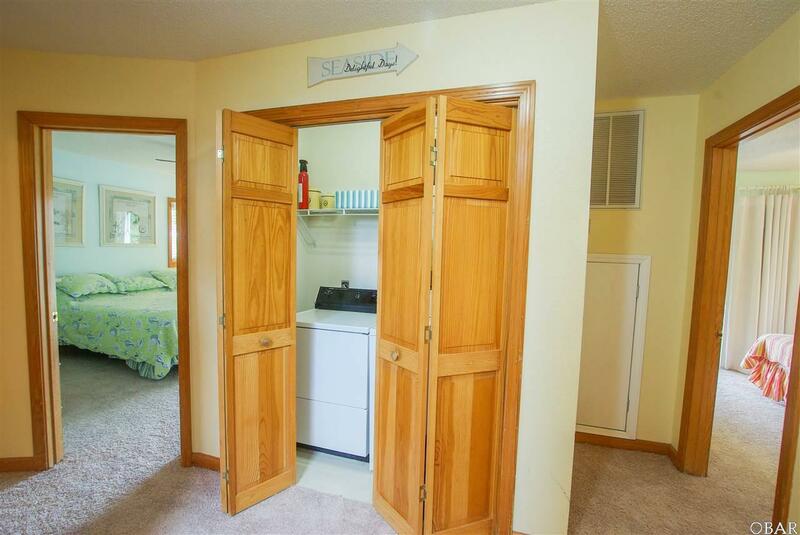 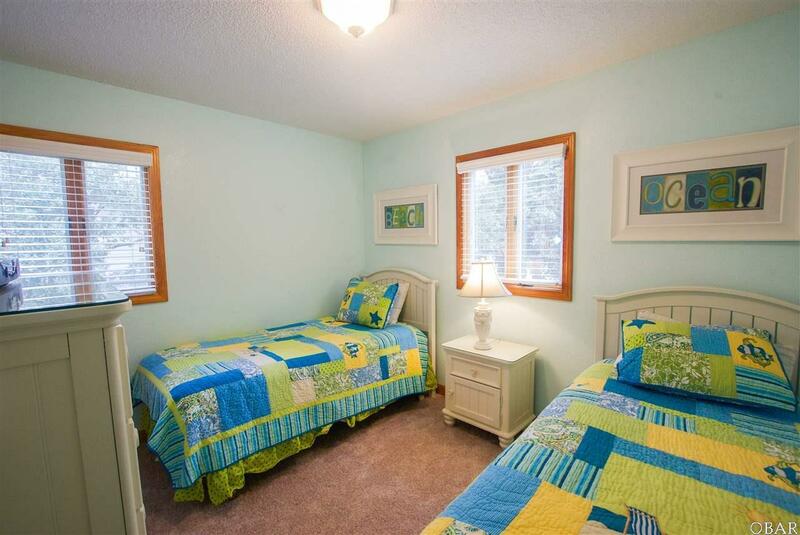 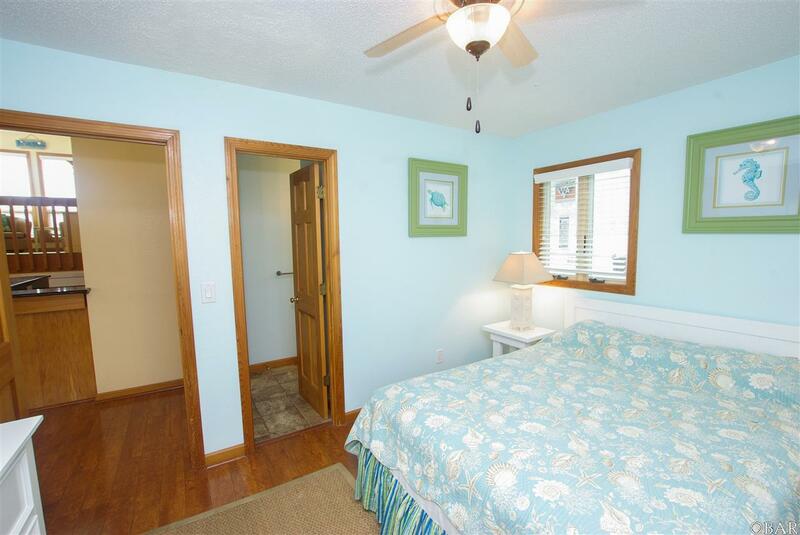 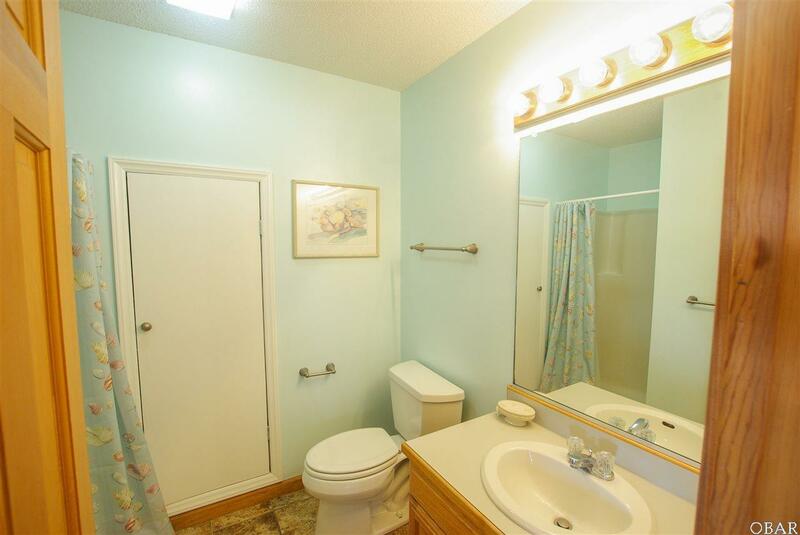 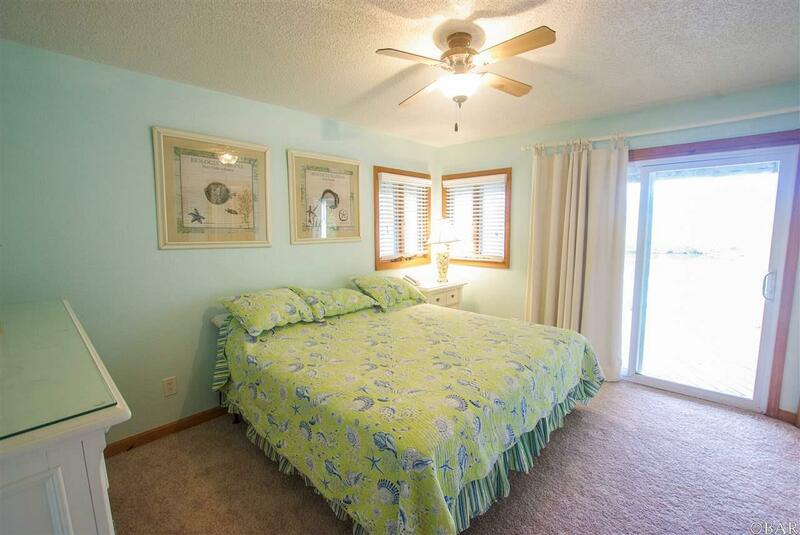 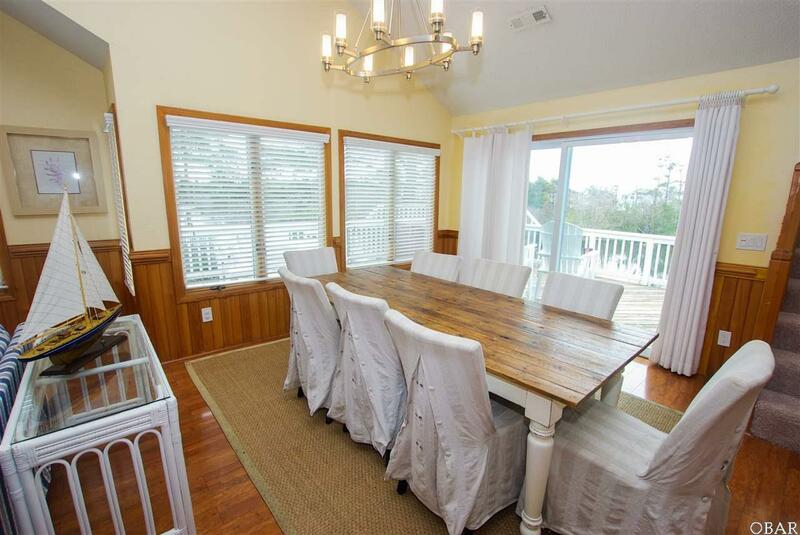 Come see this lovely, comfortable and beautifully decorated coastal cottage on the edge of a fully stocked lake--and still only a 5 minute walk to the ocean. 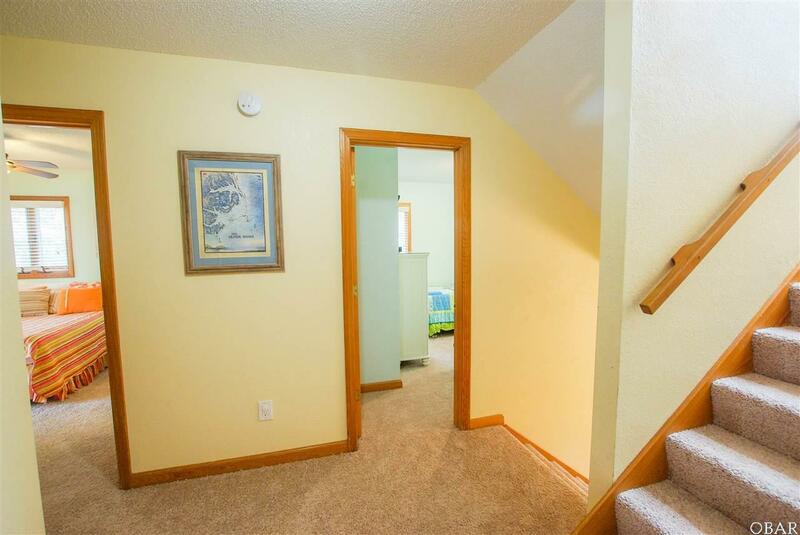 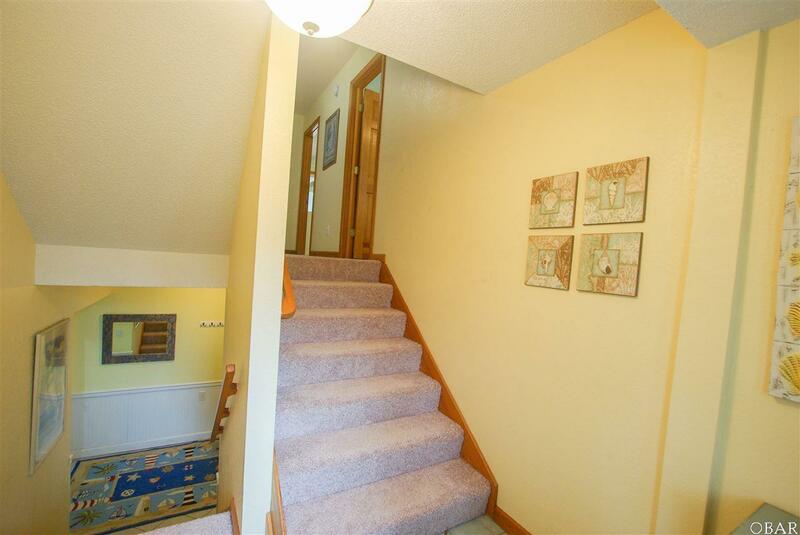 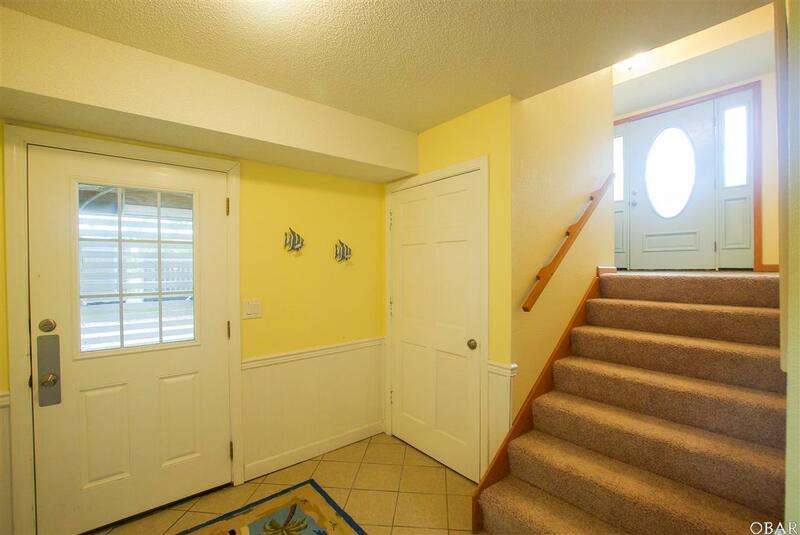 The owners have worked hard to keep the home in good condition and just installed a new slider upstairs, replaced some windows, added new neutral and comfy carpet on the mid-level and stairs and did some siding work. 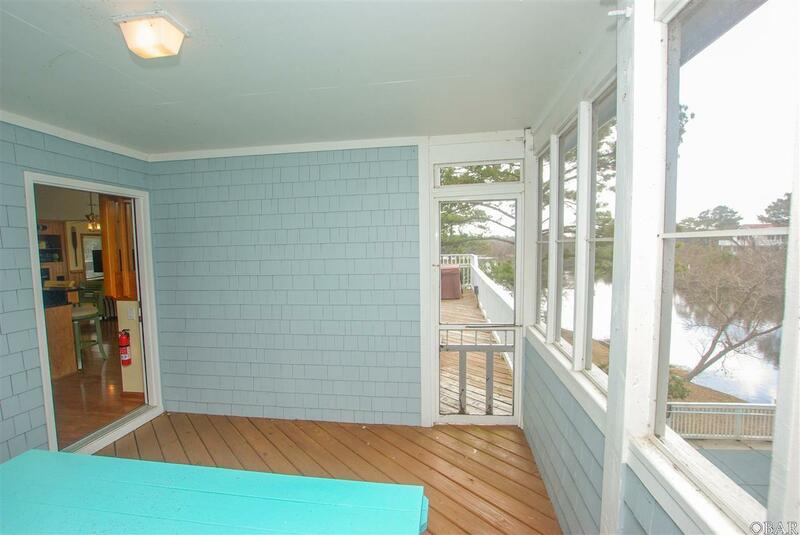 Roof was replaced and gutters added in 2014. 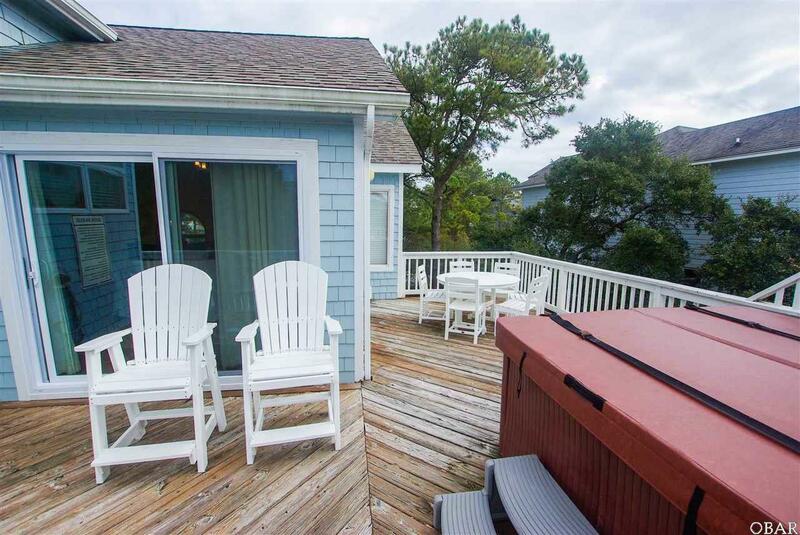 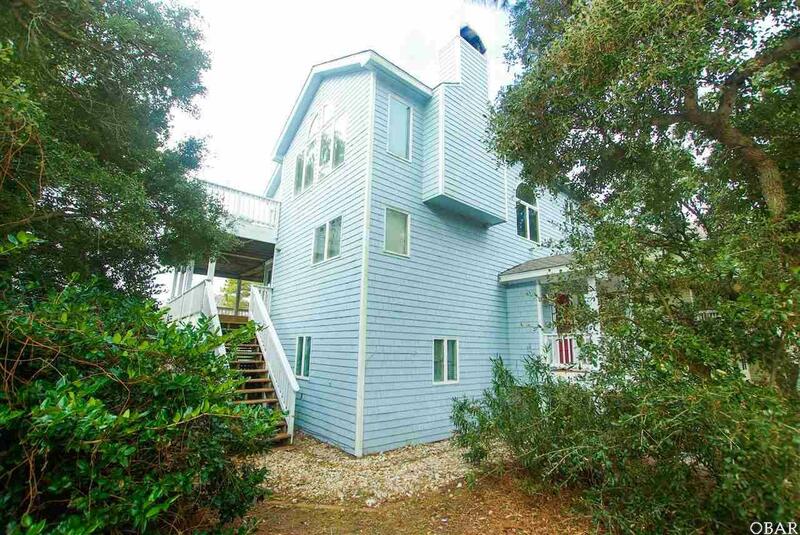 The home is nestled among mature trees that provide a peaceful location while still being close to all the shops and amenities of Corolla. 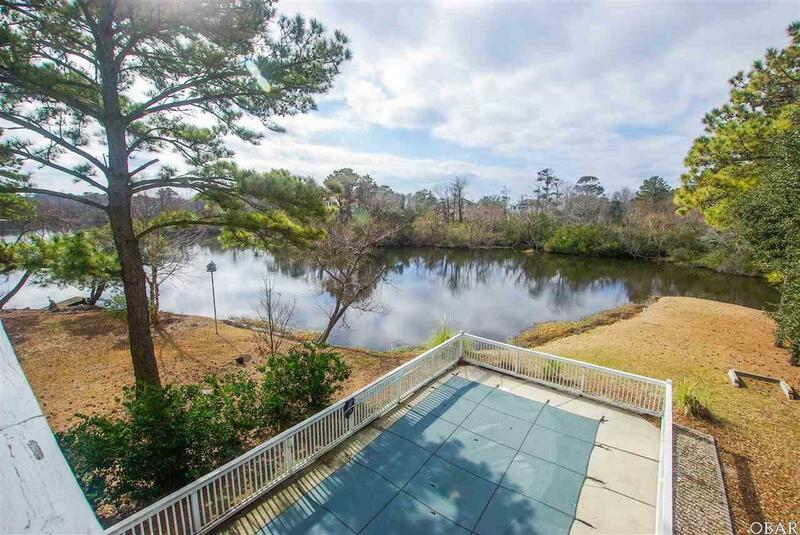 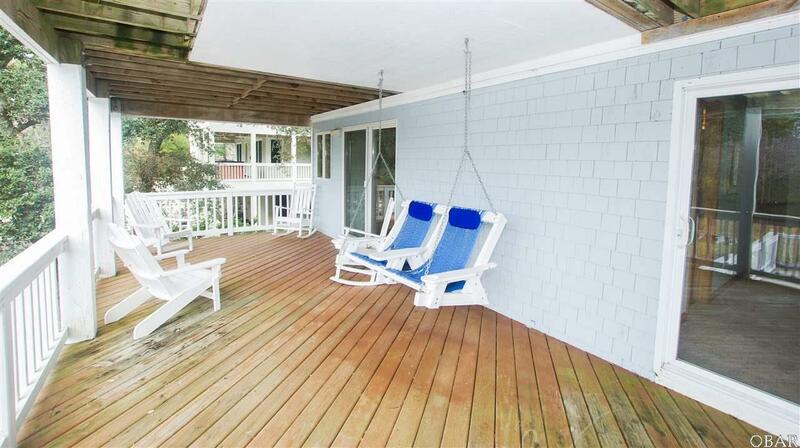 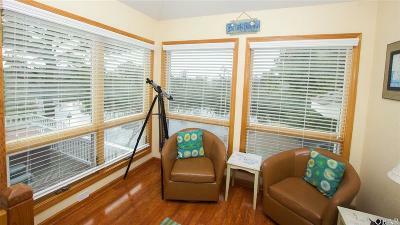 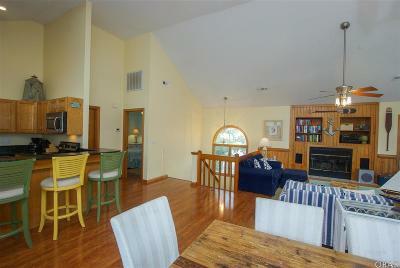 Villages at Ocean Hill is the last community on the paved parts of Corolla which means less crowded beaches. 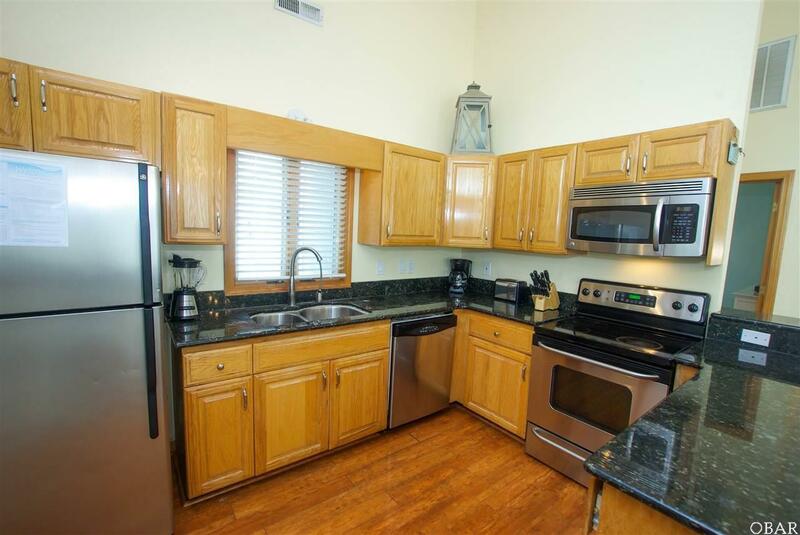 And the community offers extensive amenities to include oceanfront and lakeside pools, basketball court, playground, health club and more. 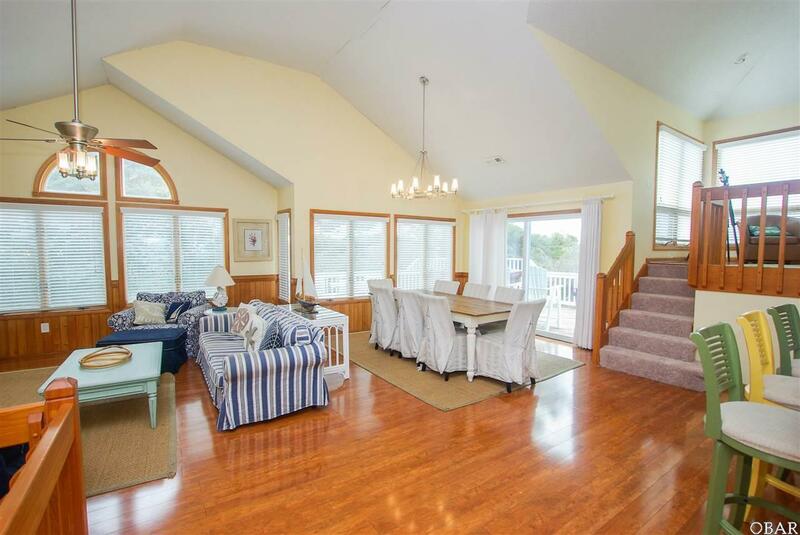 The home itself boasts an open floor plan and features an updated kitchen with granite counters, hardwood floors, ships watch which overlooks the lake and a 14 x 30 pool. 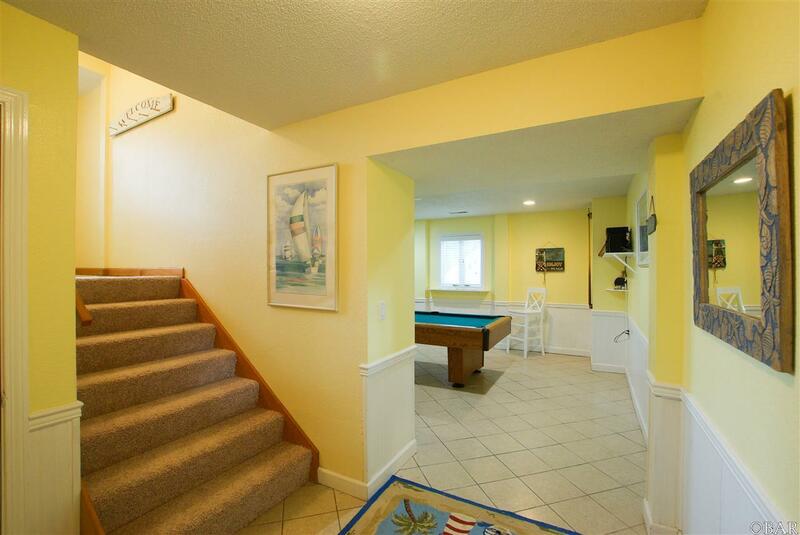 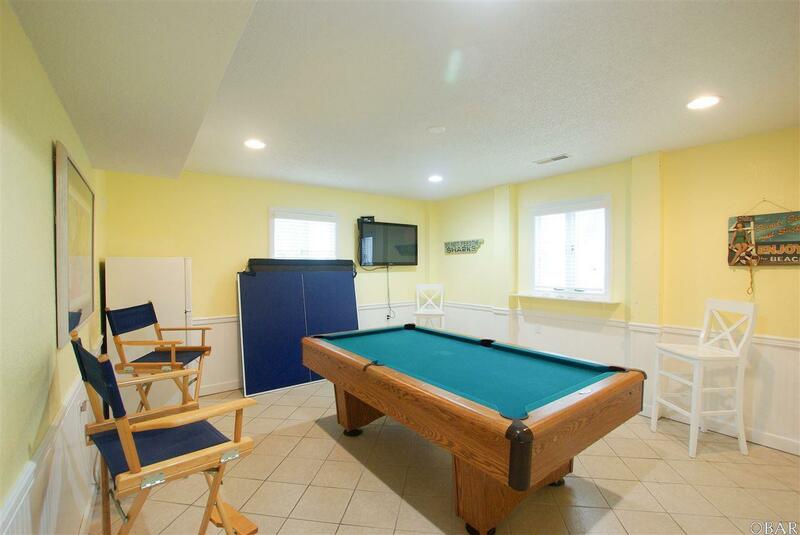 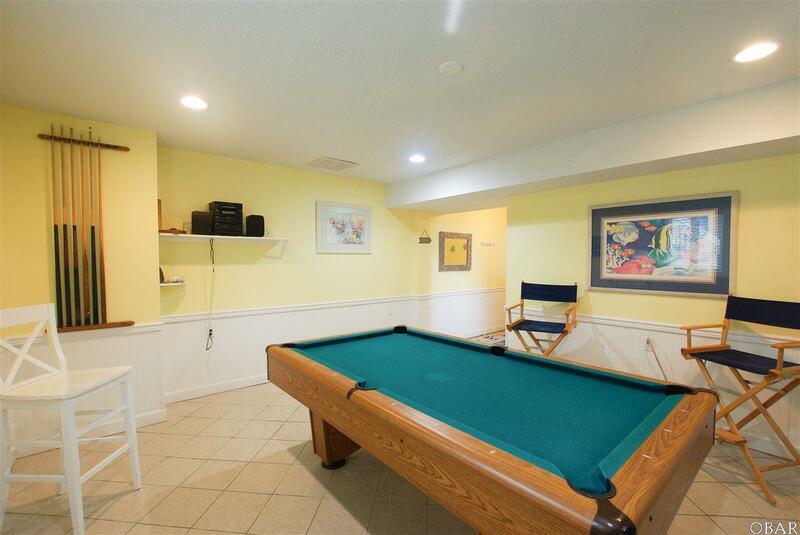 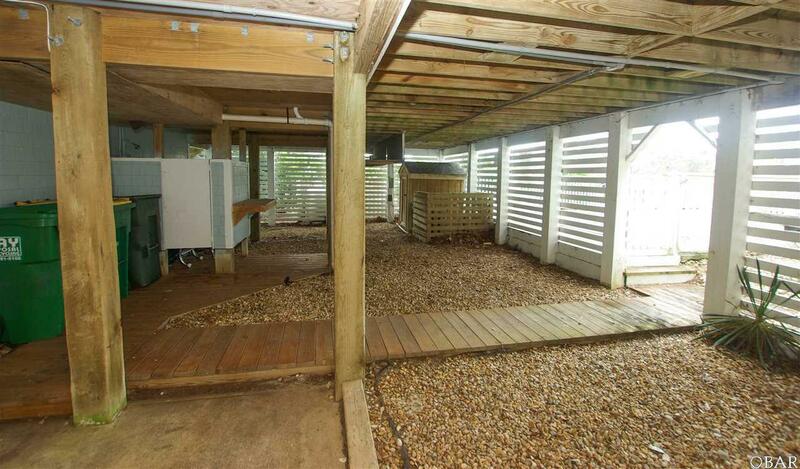 There is also a game room on the ground floor and great outdoor living space with huge decks and a screened porch, and its tranquil spot on the lake is great for sitting at the waters edge with a book! 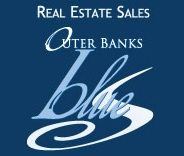 The sellers limit the rentals to only the primary season and advertised income still hit $42,000 in 2018. 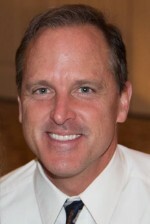 Projection on file for full year is over $50,000.